It is very important to understand how forex brokers make their money. Otherwise there is a good chance that all the money in your forex account will be quickly – and painfully – transferred to the pockets of the forex broker. In other words, you will experience losses while the forex broker enjoys profits entirely at your expense. In the same way as telecoms companies and banks ‘reward’ only new customers, the same is true of most forex brokers. The business model revolves around getting new customers. Resources are not devoted to retaining existing clients. Existing customers are simply a source of cash flow and short term profits, but are not a source of growth. It is important to understand this fundamental concept. The first thing you need to know about forex brokers is that they fall into two different categories. The first category, which is by far the biggest, is the so-called ‘market-maker’. Essentially, this type of forex broker simply takes the opposite side of your trade. And what this means is that a market-maker is incentivized by your loss, because your loss is his gain. The second type of forex broker is called an electronic communication network (ECN) broker. He merely puts your trade into the foreign exchange market, and it is irrelevant to him whether your trade is a winner or loser. Clearly, it would be better for you to use an ECN broker for forex trading! 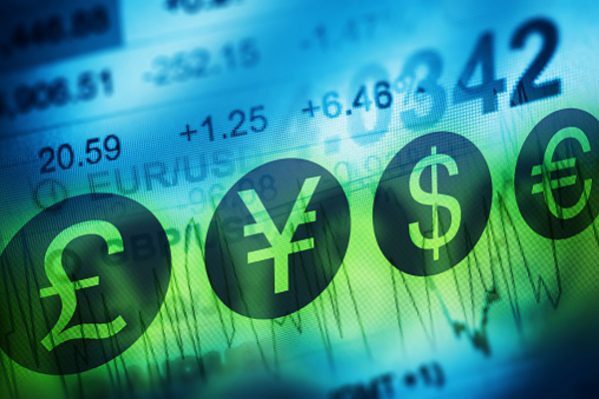 Most forex brokers offer traders a platform for ready access to trade currency markets. In addition, most brokers will also provide leverage – in other words, lend you money to magnify the size of your trades. While this means that you can make a lot of money with a small ‘down-payment’, it also means that you can lose a lot of money. And most forex traders end up losing a lot of money… leaving the market-maker forex brokers with all the money. They rely on customers giving up trading forex, rather than improving their trading skills. Both market-makers and ECN forex brokers will usually make money by charging a spread (the difference between the bid and offer price), and/or a commission, and financing charges for leverage. There may be other charges and fees, so reading the fine print is a must. As market-makers profit from customer’s losses, the less reputable firms (of which there are many) are known to widen spreads, delay orders, put out stops, and generally make it exceptionally difficult (if not impossible) for their customers to make profits (which equates to their losses). There is a massive and fundamental conflict of interest. Although ECN brokers have been known to do the same thing from time to time, it is less common because the conflict of interest is not normally there, unless they are both a market-maker and an ECN broker. As mentioned, ECN forex brokers do not in general take the other side of the customers’ trades. However, significantly larger deposits are often a requirement to get started. They will normally provide direct access to the interbank market and route orders to the banks and other liquidity providers. They charge a low commission rate, which is their sole source of income. You need to keep in mind that any business which appears to attract lots of players, as in the case of forex brokers, not only has low or no barriers to entry, but the business model must be highly profitable or there would not be so many companies in the industry. Moreover, the forex scandals at the big banks shows how little transparency there is in the industry. If you do not want to make a ‘donation’ to the market-makers, you need to fully grasp how they operate, and you need to this well before you open an account with one of them.